Cholesterol is needed in small amounts by the body for maintenance of cell structure and elasticity, as well as synthesis of bile, Vitamin D, and steroid hormones like estrogens and androgens. A waxy compound, cholesterol is a fat-like substance that occurs throughout the body. Cholesterol is needed in small amounts by the body for maintenance of cell structure and elasticity, as well as synthesis of bile, Vitamin D, and steroid hormones like estrogens and androgens. A small fraction of cholesterol is formed naturally as a part of the body’s physiology, and the remaining is ingested through food. When a person has too much cholesterol, it interacts with various blood constituents and forms a sticky substance. This substance called plaque can stick to the walls of the blood vessels, narrowing them and leading to various ailments. 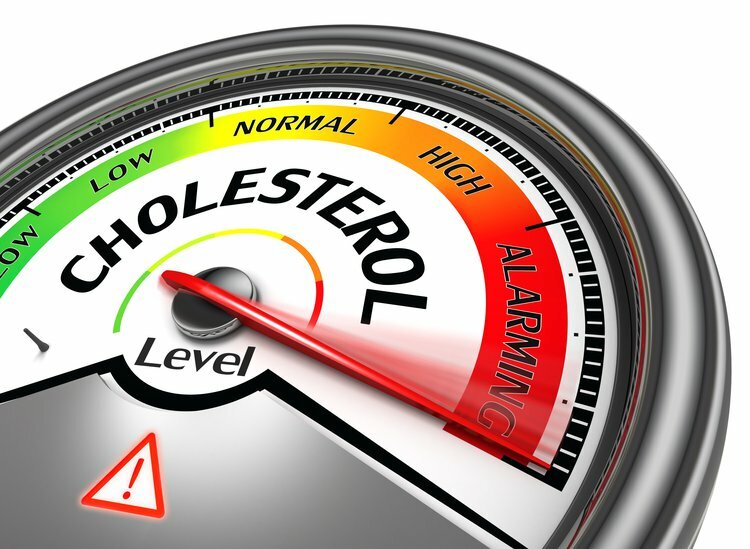 Cholesterol is a component of various lipoproteins, namely: Very Low Density Lipoproteins (VLDL), Low Density Lipoproteins (LDL), and High Density Lipoproteins (HDL). The more lipids (naturally occurring substance containing fat, sterols, etc.) a lipoprotein contains, the lighter in density it becomes. This is the reason for lipid testing in blood, and doctors generally prefer to see more HDL (good cholesterol) than LDL (bad cholesterol) in test results. The bad cholesterol causes clogging and deposition of fat in the arteries that increase blood pressure and the risk of strokes and atherosclerosis. Apart from this, the adipose, fat around organs, glycogen storages, and blood sugar levels are raised. The HDL, according to Durstine and colleagues in a 1994 study, reverses this mechanism by transporting excess fat into the liver so that it can be metabolized and burnt instead of accumulating in the body. This is why HDL is termed as the “good cholesterol.” The American Heart Association states that an increase in levels of bad cholesterol pose a risk of cardiovascular diseases and can be fatal. Dietary alterations: Several dietary alterations and incorporations can prove beneficial in raising HDL and reducing LDL, VLDL, and triglycerides. Fruits, vegetables, and whole grains can add a lot of fiber to the plate, ease digestion, reduce spikes in blood sugar, and lessen the accumulation of fat in the body. Organ meat, duck, lamb, etc. and egg yolks suppress HDL and increase bad cholesterol instead. Fish is rich in omega-3-fatty acids and consuming fish could improve HDL levels. Healthy fatty acids are also present in sources like flax seeds, almonds, and walnuts. Healthier fat choices (monounsaturated fats) such as canola and olive oil are far better than trans fats (repeatedly heated fat) and saturated fats like cheese, lard, and butter. Plant-based foods rich in sterols and stanols help prevent absorption of bad cholesterol; these foods include orange juice, yogurt, legumes, and granola. Lifestyle changes: Planning a physical activity routine can be of great help. Thirty minutes of moderate exercise for five days a week could double the fat burning rate, suppress LDL, and could elevate HDL. A 1984 study conducted by Haskell suggests that ‘endurance training’ exercises contribute to an elevation in HDL cholesterol. Smoking cessation and alcohol restrictions to two servings a week can also uplift HDL in the body. In fact, a study report by De Oliveira e Silva and co-researchers in the year 2000 implies that dosage-dependent alcohol consumption within limits could actually aid in increasing HDL levels. Heart disease is the leading cause of death in the USA, as well as globally. Regular lipid profile tests, maintenance of a healthy lifestyle, and food routines are key to sustaining a healthy heart, along with following a medication regimen, if needed.